Preface: I have not written a negative film review, up until now, because I don’t enjoy reading about bad films. If they are bad, then generally I don’t want to watch them, and they are usually best ignored. Holy Rollers: The True Story of Card Counting Christians (2011) falls into that rare category of bad films that should be examined, because it has great potential to be misunderstood, and also because it is important to understand its weaknesses which run much deeper than its narrative. One would have to admit that this idea is undeniably intriguing in its contradictions, and this film has many, which run to the heart of modern culture and its degradation; including its worship of money, its lack of honesty in intention, and its absence of useful productivity. 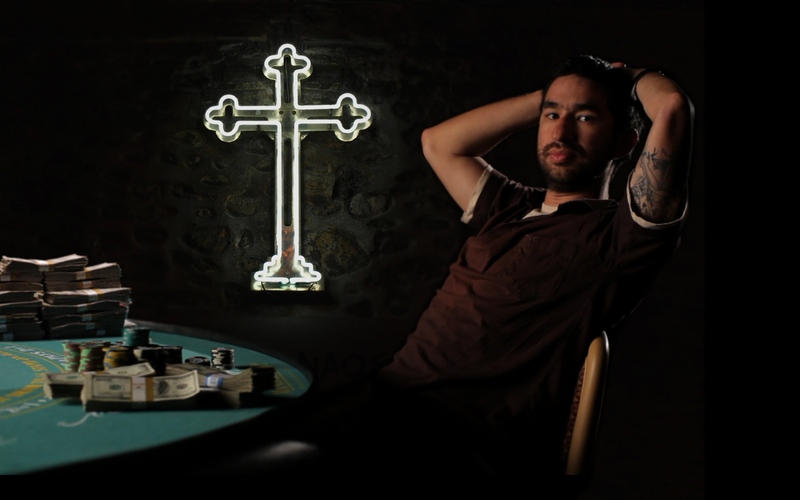 In short, the film is a documentary about young men & women who count cards to win at blackjack, while sharing a common bond of being Christians. This creates conflict with friends and family who view gambling as sinful behaviour, but most of this is justified by their incredible winnings which ameliorate these doubts. Whatever their stated intentions, the final message is: in the real world, money trumps faith. As a film, Holy Rollers has deep flaws; mostly in lack of vision & character development. The viewer ends up learning very little about the characters in the film, including why they are doing this? Explanations often ramble in the direction of, “I try to explain to people why I do this…but after an hour they keep asking questions… so I do try not to explain myself anymore because it’s frustrating.” That succinctly describes how a thinking audience would feel when trying to make sense of all this, because filmmaker Bryan Storkel doesn’t attempt to dig beneath the surface, likely for fear of what he might find. Bryan Storkel explains the inspiration for his film in an video interview, “I kept in touch with a boyhood friend from Seattle…one time at lunch he showed up with $80,000 in his pockets and I thought this is crazy…I kept thinking about it and said ‘I have to do a film about this. '” It’s not hard to recognize this love of money (and the ends justifying the means) in which the filmmaker accepts every rationalization this “church team” makes as good coin– simply because it makes good coin. One example of this, which is completely neglected by the filmmaker, is their non-profit status. Most team members are church pastors, which allows them to avoid paying any taxes on their winnings. 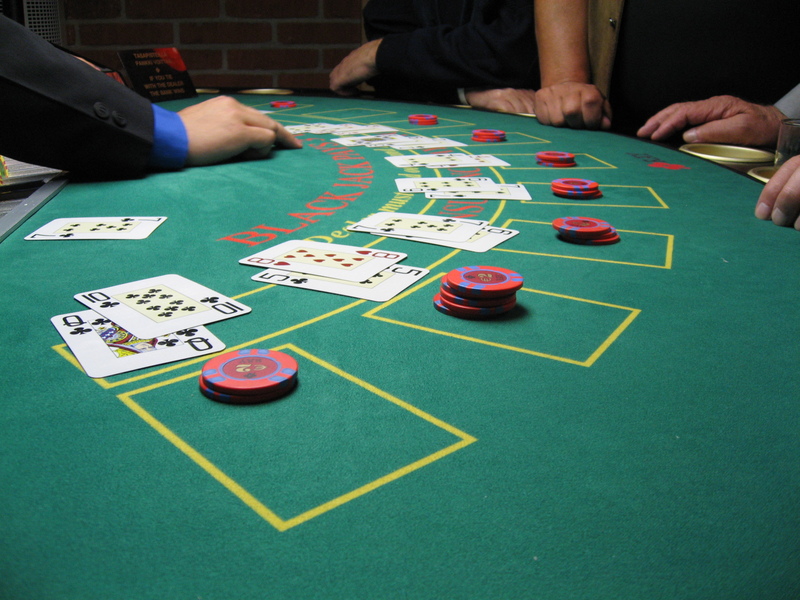 In casinos, W2-Gs are not required for winnings from table games such as blackjack, craps, pai gow, baccarat, and roulette; regardless of the amount. This does not mean exemption from paying taxes or reporting the winnings. Any and all gambling winnings, by law, must be reported to the IRS. From a purely blackjack/business perspective, operating as a professional gambler through a church is simply another aspect of smart money management. The ethics of this position are never discussed, and this obvious point is never raised by Storkel. Team members simply vent their outrage on the evils of casinos (in which they can never spend enough time), portraying themselves as modern-day Robin Hoods. This justification has a tint of nobility until the viewer asks, “Where is this money going?” These “pastors” seem to spend very little time with their congregation, and even less in giving their winnings back to their communities. The fraudulent character of religion as an ethical cloak and tax haven comes through all-too-clearly, despite the filmmaker’s intention to ignore it. These self-professed Christians enjoy their success; drinking Guinness & smoking fashionable cigarettes at lavish get-togethers in swanky restaurants, staying in luxury hotel rooms at major casinos, all-the-while rationalizing their moral distaste for these palaces of excess & vice. Not once in this film is there any mention of these ministers of faith setting up a Gambling Addiction clinic, or any other such community service. The team’s winnings start to become less & less over time, and finally one team member runs a statistical analysis which shows this to be a low probability of just being a run of bad luck. No one wants to admit that someone could be stealing, because they are all Christians, except for one member. One fundamentalist, who earlier in the film revealed his prejudice towards Non-Christians, now accuses the outlier of stealing. How does he know? 1.) Two other team members (whom he refuses to identify) told him; and 2.) God told him. The only character in the film with any conflict of ethics is Brad Currah, who midway through wonders about the value of card counting, in that it doesn’t produce anything useful to society. Of course this is correct, as all forms of gambling have no benefit to society, and that is why they are widely considered vices. This point is completely lost on everyone else including the filmmaker, as this moral conflict causes Brad to decide to leave the team. This is the only example of character development in the film’s entire 90 minutes. 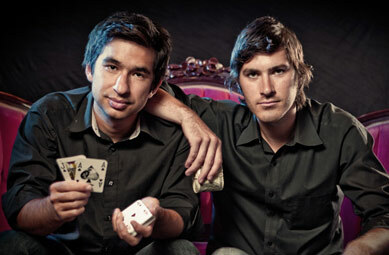 Today, team leaders Ben Crawford & Colin Jones have parleyed their gaming & film success into a website, not to spread the Gospel, but to help train card counters . While paying lip service to the evils of gambling, their online store is full of products designed to make you the best blackjack player possible; ranging from their modestly priced “pro training kit” ($30); to “boot camps” ($1500); to private lessons in Vegas with Ben or Colin ($4000). In summary, this documentary film suffers from a laziness in approach that is endemic in modern mass media. Even when it picks interesting subjects to study, it fails to ask serious questions that will draw out necessary truthful conclusions, however uncomfortable they may be. Instead, this movie is an attempt to glorify something that is in fact, truly ugly.